The impressive light output of the Enduro 600 makes it one of our most popular lanterns. Now featuring a bluetooth speaker so you can listen to your music while you camp in the sun. 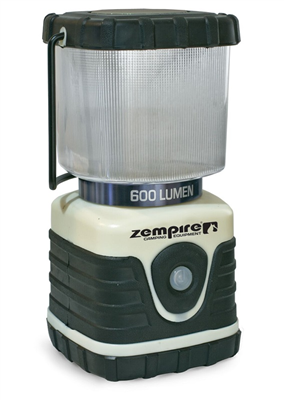 The Zempire Freedom Enduro 600 LED Lantern with Bluetooth Speaker is a compact lantern that is a powerful area light in the tent which runs for up to 27 hours on high before the batteries need to be replaced.The Enduro 600 features a wirelessly connected bluetooth speaker. You can easily pair it up to your phone or other device to play your favourite tunes in your tent or around the campsite. It is also bright enough to read your book around the campfire or light up your whole tent! The three light modes are High 100%, Medium 50% and Flashing.